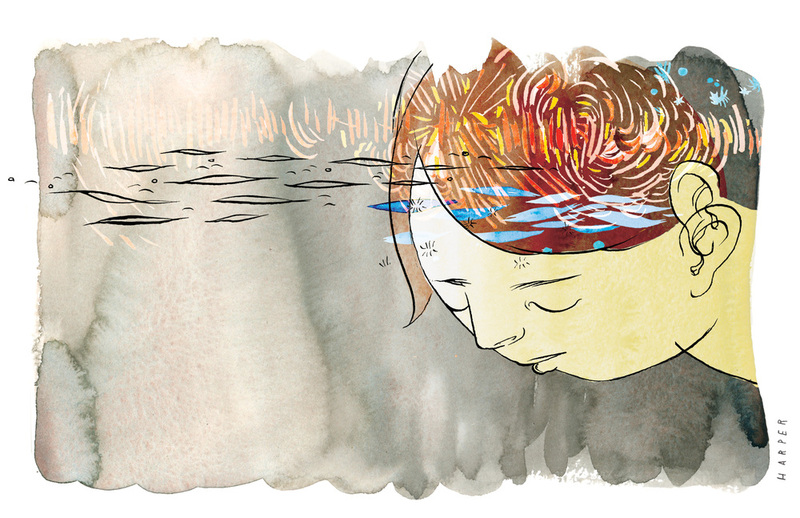 These are a few illustrations I recently did for Lilipoh Magazine's summer issue. This one is for an article all about the author's love of summer farmers markets. 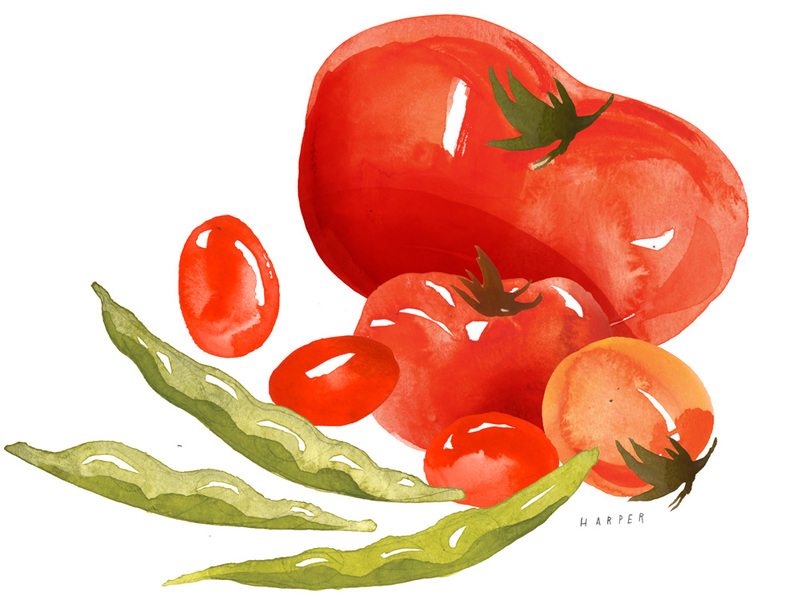 I had a lot of fun action-painting rows and rows of tomato renderings until I got ones I liked - with the right amount of looseness. I was trying to achieve some 'drool' factor, since the author gushed over juicy tomatoes. This one is for an article called The Power of Premonition. I got this assignment last-minute to fill a space for the designer, so I had to work fast. The article was, lets say, hard to pin down as the subject matter isn't exactly physical. The concept of premonitions is so tricky to interpret I was kind of stumped for awhile until I started thinking of premonitions as waves of invisible information that you can only perceive if you're tuned in. So I started working with this idea and came up with several ways of creating those 'frequencies' with painting and ink.